The fire was believed to have started about 04:00am in the morning. The boys, who slept in a separate building in the garden, were woken by a light shining through their bedroom window. 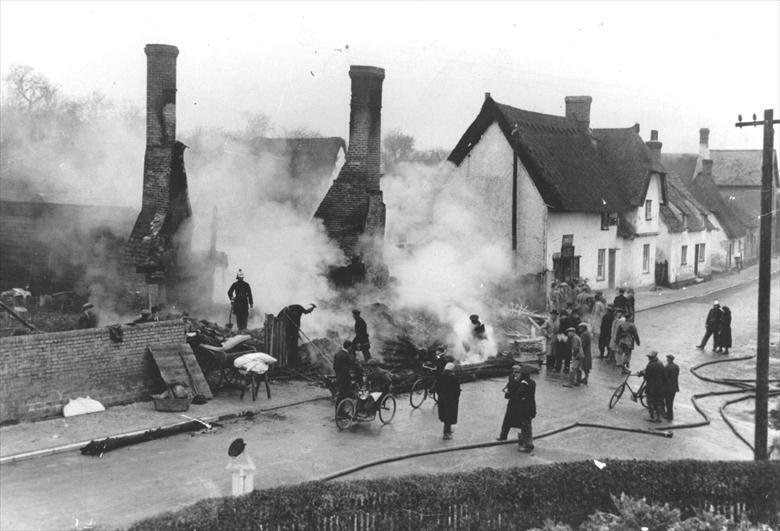 Ernest ran out to see the flames coming out of Mr Jude’s chimney to a height of ten feet and the thatch of the first two houses well alight. He then went to the door of his house and woke his parents and sisters by banging on the door with a bucket while his brother Bernard went next door to see how Mr Jude was. He was beaten back by the flames because by that time the side of the house had collapsed and Mr Jude was unfortunately burnt to death. The neighbours had been alerted and someone sent for the Fire Brigade who we think came from Royston. 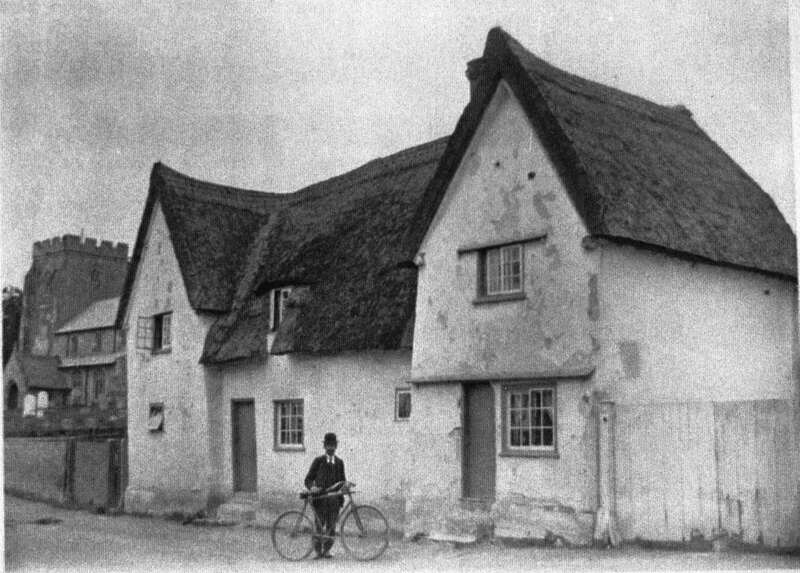 The roof of the Post Office which was also thatch was in danger of catching fire and so my father Henry Freestone went up a ladder with buckets of water which he poured on the roof and managed to prevent the fire from spreading to the Post Office. Meanwhile the neighbours helped to remove as much furniture as possible from our house so by the time the Fire Brigade arrived the house was practically empty – it too was well alight by now. Water was taken from the pump at the top of Stocks Lane until it had dried up and then from the pond at Manor Farm in Town Green Road. The walls of the house were made of lath and plaster and were literally washed away by the hoses. Within a very few minutes the only parts of the house left standing were the chimneys and these were subsequently pulled down. I remember the morning being very wet, dirty and smelling of fire, my younger sister crying for her teddy bear and my mother going back into the house to find it. After that we went into a neighbour’s house until morning when the task began to move what was left of our house to Meadowcroft Cottage. This ancient building, probably built in the late 16th or early 17th Century when it was managed by the Churchwardens, still had its church connections in the 1930s when it was divided and the Freestone family lived there. "We lived at one end of the house, and part of our tenancy agreement was that my father had to ‘cobweb the church.’ One night in 1936 Page Jude, an elderly man who lived at the other end of the building, let his fire get out of control and the whole house was burned to the ground. Page was killed but we were saved because my brothers, who slept in an outbuilding across the garden, were woken up by the light of the flames.